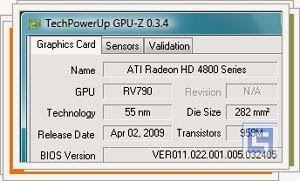 GPU-Z is a simple but handy utility to determine what graphics card your computer has. GPU-Z is compatible with most cards, and provides the name, vendor and model, memory, bios version, and DirectX driver among other data. GPU-Z does not require installation, and if you want, you can join TechPowerUp statistics, showing the percentage of users who used the same graphic card and where in the world are. GPU-Z can be useful to the experts to see, for example, the increase in frequency obtained in overclocking the video card, and less practical to know what kind of VGA is installed on your computer.